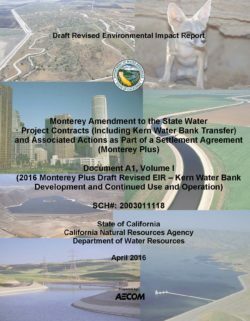 The California Department of Water Resources (Department), as the lead agency under the California Environmental Quality Act (CEQA), prepared the environmental impact report (EIR) for the Monterey Amendment to the State Water Project Contracts (Including Kern Water Bank Transfer) and Associated Actions as Part of a Settlement Agreement (Monterey Plus) (Monterey Plus EIR). The Department certified the Monterey Plus EIR on February 1, 2010. Several parties challenged the adequacy of the Monterey Plus EIR under CEQA. 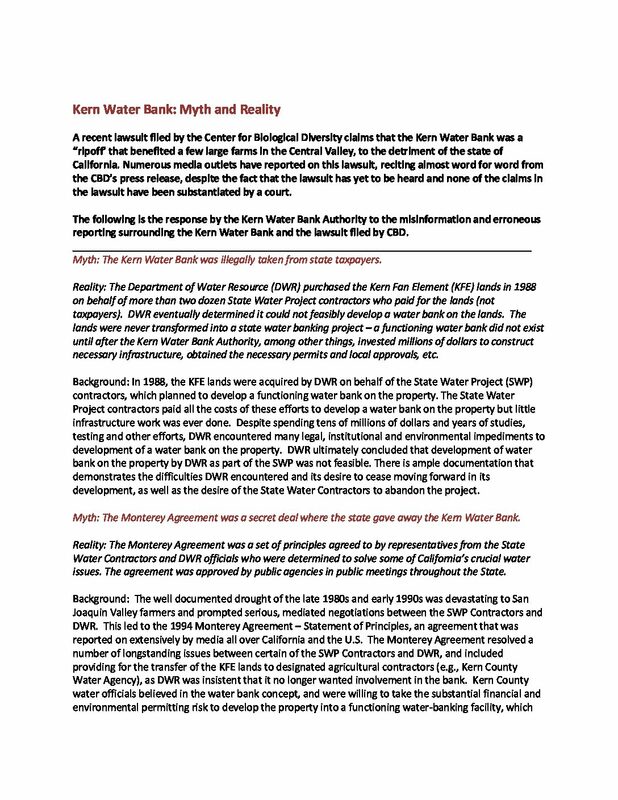 In 2014, the Monterey Plus EIR was found by the Sacramento County Superior Court (Court) to comply with CEQA in all aspects except with respect to the development, use, and operation of the Kern Water Bank (KWB). The Court specified that the Department is to correct the deficiencies and recertify the EIR without reopening the non-defective portions of the EIR. Upon recertification, only those portions of the Revised EIR (REIR) that are new or changed shall be subject to challenge under CEQA by petitioners or other interested parties. For these reasons, the Department has developed this three-volume Monterey Plus Draft Revised EIR. Document A1 presents all the changes to the Monterey Plus EIR made as a result of the Department’s reanalysis of the Kern Fan Element (KFE) property transfer and new analysis of the KWB development and continued use and operation. Since DWR decertified the Monterey Plus EIR, pursuant to the Court’s order, the Revised EIR also includes, without modification, the 2007 Draft EIR (Document B, including Volumes I and II) and the 2010 Final EIR (Document C, including Volumes I and II). Together, the three documents constitute the Monterey Plus Draft Revised EIR (Figure P-1). The Draft Revised EIR focuses on the development and continued use and operations of the KWB near Bakersfield. Potentially significant impacts before mitigation were related to groundwater levels and quality, Kern River water quality, the Cross Valley Canal, terrestrial biological resources, erosion, hazardous materials, waterborne disease, cultural and paleontological resources, greenhouse gas emissions, and cumulative impacts. Potentially significant and unavoidable impacts were related to cumulative growth-related impacts. The Draft Revised EIR identifies hazardous sites on or near KWB Lands that have been remediated. 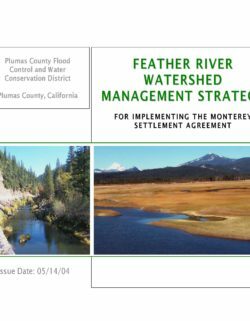 This Feather River Watershed Management Strategy document was prepared to help decision making by the Plumas County Flood Control and Water Conservation District and the Plumas Watershed Forum under the Monterey Settlement Agreement of 2003 (the Agreement can be found at: http://www.montereyamendments.water.ca.gov/). 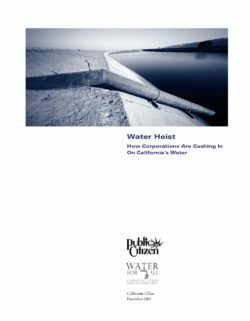 The document sets out priorities for watershed management and restoration actions. The Watershed Management Strategy will allow the Technical Committee to advise the Watershed Forum on how to proceed with allotting funds for specific actions. The goals are to improve temporal retention of water to increase base flows, reduce sedimentation, protect streambanks, improve upland vegetation, and improve groundwater recharge. 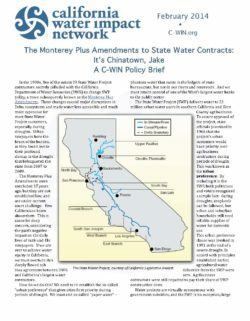 In the 1990s, ,ive of the extant 29 State Water Project contractors secretly colluded with the California Department of Water Resources (DWR) to change SWP policy, a move subsequently known as the Monterey Plus Amendments. 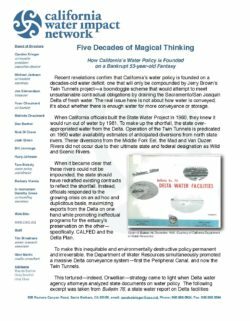 These changes caused major disruptions in Delta ecosystems and made water less accessible and much more expensive for most State Water Project customers, especially during droughts. Urban ratepayers bore the brunt of the burden, as they found out to their profound dismay in the drought that beleaguered the state from 2007 to 2009. The Monterey Plus Amendments were concluded 17 years ago, but they are not established law, and are under current court challenge. 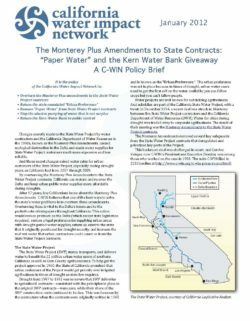 Who Controls the Kern Water Bank?